3D billet motorcycle throttle assembly is a replacement for the stock Harley throttle housing and can be installed on bobbers, custom choppers and most custom bikes using 1″ diameter handlebars. 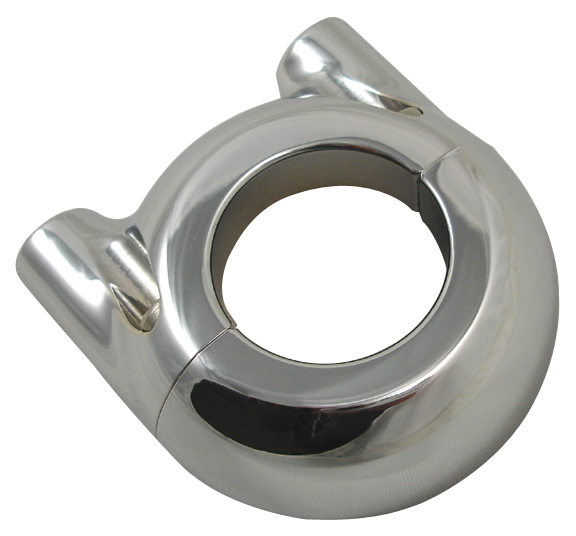 This motorcycle throttle assembly is machined out of billet aluminum for strength and durability. It is available as a single cable throttle assembly or as a fake mirror unit for left side installation to fill the gap between the hand control and the grip, for a symmetrical look. This billet throttle housing looks great combined with our 3D Custom Motorcycle Grips, Handlebar Mirror Clamps, New 3D Motorcycle Hand Controls and 3D Motorcycle Hand Controls. Hello. Like many Big Dog owners I find myself having to change out my OEM handle bar controls to accommodate a rewire using a 12v lighting controller. Could you price me out the 3d set or grips mirror mounts . A two button switch housing for each side, throttle housing as well as a hydraulic front brake control with a cable clutch control with levers ..